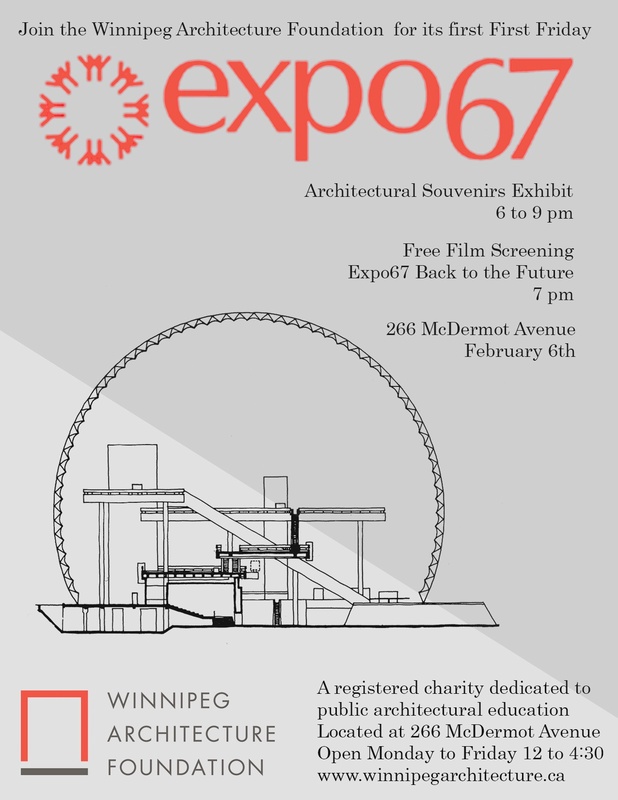 EXPO67: Architectural Souvenirs Exhibit and Film Screening at 7 p.m.
As part of the First Fridays in the Exchange District, you are invited to visit the Winnipeg Architecture Foundation at 266 McDermot, between 6 p.m. and 9 p.m. In our micro-gallery we will have a display about EXPO67. At 7 p.m., we will have a free screening of the film "EXPO67, Back to the Future".